Here is the list of the characters taken, and who has who. Good luck everyone. We cant wait for the new Season to start Feb 11th!!!!! Our Sole Survivor will get a $25 Gift Card to Amazon, and some other special prizes!!! Our First Runner Up will get a $10 Gift Card to Amazon!!!! We are hoping to have more games to play soon!!!! I am sooooooo excited. I hit 100 Followers today!!!! Thank you everyone. 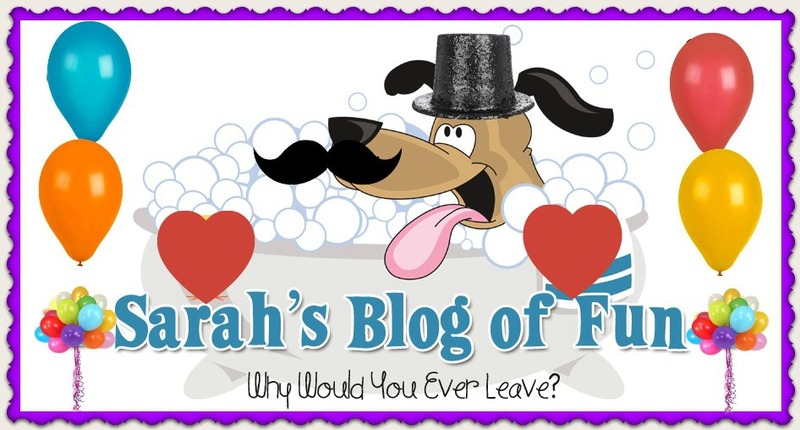 I am soooooo happy to have you all Following my blog. I promise there will be alot of fun things comming in the future. Please dont forget my Survivor game. I still have a couple characters left!!!!! If you are a new follower to my site thanks to Friday Follows, please leave a comment below so I can return the favor!!! Thank you all very much!!! I wish I had thought of this!!!! So since her game is full, I was wondering if my followers would like to play along on here?? We will make it really simple. If I get 19 people to want to join, each person will pick a Survivor. Each week I will post who is voted out. At the end of the game, we will have a prize for the sole survivor. Sence this will be my first "giveaway," I will make the prize something awesome!!!! Please let me know what you think. We will let the contestants pick their survivor character in the order they comment below. Here is a list of who we think is on the new season. I will update the list if characters change. I think this will be alot of fun, and I hope you all do too!!!! More information to follow. We do ask that if you want to play, you be a follower on our site!!! Thank you Wanna Be Supah Mommy for the great idea!!!! Again I just want to say thank you to all my new followers. I have gone through and become a follower on your blogs as well. I am still learning the blogging ropes, and will soon be doing alot more with my site!!!! If you are a new follower, and I havent yet returned the favor, please leave me a comment below. I am glad to see all the fun filled sites!!!! I just wanted to write a quick note to say thank you to all my new followers!!! I am returning the favor. Bare with me!!!! Also I wanted to let everyone who lives in Western Mass know that Big Y on Boston Rd is closing down. Right now everything is at 50% off. I am heading over to take a look. I will let you know if there is anything left!!! Sealy and Mommy Mandy are giving one very lucky person a Sealy Posturepedic bed of their choosing!!!! Really simple to enter the giveaway too. Head over to Mommy Mandys site for details. I need to thank Rockin Mama for letting me know about this giveaway. Here are all the links and good luck everyone!!!! This is a great Giveaway, and I am very happy to be involved in it!!!! Cottonelle is giving away to ten lucky bloggers a gift basket just for commenting if you are an over or under roll person!!!! I personally am an under person at the moment. I find it harder for my 4 yr old to unravel that way!!!!! Here's how to enter. Just comment below which way you prefer your roll. Thats it!!! Cottonelle will pick 10 people from all the blogs entered. Good luck all!!!! You can also check out their site and contest info here. By posting all this info, the Blog owner (ie. Me!!) is also entered to win a months worth of toilet paper. I really need it in this house!!!!! Yesterday My Husband and I hit Big Y to see what we could get a good deal on. Unfortunately with my low coupon supply, and not a great deal week, there wasnt much. The one thing I really wanted to post about was the Healthy Choice meals. At Big Y they are 5 for $10. If you click the link below, you can get a $5 off 5 coupon. Making these meals $1 each. Not a bad deal!!!! You can print twice per computer. The Mommy Files is doing a great giveaway. They are giving readers a chance to win Cloudy With A Chance Of Meatballs Wii Game. I loved this book when I was a kid and I cant wait to get a chance to see the new movie. Check out The Mommy Files site for other great giveaways and some very helpful tips. Here are a couple more giveaways from some great sites I follow. I wish everyone lots of luck. I am venturing out to Big Y and some other stores to get some shopping done. Sence I have been on bedrest for two weeks, I am going stir crazy!!!! I will let you know if I find any great deals!!!! Willowtree Treasures is giving away a beautiful Ragedy Ann and Andy Lamp. Check out their etsy shop for all sorts of adorable items. A Hen's Nest is giving away to 3 lucky winners, 4 boxes of Triaminic thin strips to help fight this cold season. I know in my house I need it!!!! There are also a bunch of other giveaways. Check out the site. It's well worth it!!! The Mommy Files is giving away a copy of "Winnie the Pooh, A Valentine for You" on DVD. This looks like such a cute movie. I subscribe to The Mommy Files emails and I love them. Check out the site. As I am still recovering from the gall bladder surgery (all i can say is OUCH!!!!) I have been watching some other sites and their giveaways. Here are a couple great ones. Please let them know I refered you!!! I had to write a post about this great company. I was sooooo excited to receive my Diaper Cake yesterday!!! As I am still new to Blogging, I have been following alot of other sites to see how they do it. I entered a contest with a site called Alexander's Playroom. I have no luck, so I wasnt expecting to win. Soon after the contest ended, I received an email from Maria to inform me I WON!!!!!!! The retail value would be over $80!!! This is going to be a great gift for my expecting Sister in Law. Please check out all of their products. I especially love the Jo Jo Giraffe Plush Gift Set!! As I am still trying to figure out what I want out of my blog, I am experimenting with a lot of ideas. One that I have gotten from some of my favorite blog sites, is posting great coupons and deals at local stores. So while I am sitting here watching my 33 yr old Husband and almost 4 yr old son shoot each other with a nerf gun, I have been finding great money saving deals. That way they can get more nerf guns!!!!! As I find more great deals, I will update the post. Please keep checking back!!!! Have a Happy and Healthy 2010!!!! I know this will be a year to remember!!! !